The best video editing experience for Mac provided by Wondershare Filmora9. Finding good video video cutter for Mac can be difficult compared with the products available for Windows. 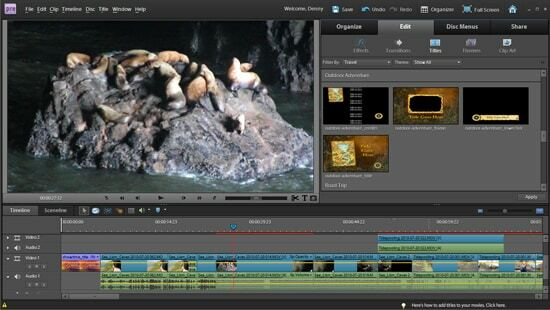 Fortunately, there are some video editing apps which can help you cut, edit and share videos easily on Mac. Wondershare Filmora9 for Mac (Latest version 9) balances price, sophistication and capabilities almost perfectly. Elegant and easy to learn, Filmora provides users hundreds of video effects and transitions, almost all of them accessible with a simple drag & drop interface. Export options are robust and include specific file or device types. This video editing program for Mac also offers direct uploading to a variety of social sharing networks. Besides cutting mp4 files on Mac, you can also cut mp3 files on Mac with Filmora. Pros: Intuitive, simple interface creates a very gentle learning curve, suitable for inexperienced users. Low price beats virtually every other professional video editing software available. Modest system requirements are extremely accessible. Cons: Does not offer the most advanced features that true professional users might desire. A wide support for different formats, including MP4, AVI, MOV, AVCHD, MKV and more. Apply markers, color correction, effects, transitions, and more to up to 100 multimedia tracks. Amounts of stunning effects for different niches at your choice, including motion elements, animated titles, royalty-free music, and transitions. Video editing software can be intimidating and frustrating to new users, VideoPad largely succeeds in reversing expectations of complexity. Suitable for anyone interested in learning the basics of nonlinear video editing, VideoPad contains all the basic tools needed and even a carefully chosen selection of more advanced tools and features. Supported import file types include WMV, AVI, ASF, XviD, MPEG, MP4, MOV and more. Burn movies to DVD, Blu-ray, CD or HD-DVD. VideoPad can also render 3D by using stereoscopic conversion on 2D files during the export process. Pros: Great tool for beginners looking for an easy entry into video editing. Supports all common file types. Cons: Lacks a full range of effects and transition types, even novice users may quickly outgrow this software tool. Relatively high price. Straddling the line between a home and professional product, Adobe Premiere Elements 13 offers tremendous functionality to users who put in the time required to master this complex video editing tool for Mac. Adobe Premiere Elements offers an extra large canvas for work (much appreciated for complex tasks) and three work modes: Quick, Guided and Expert. Even in Quick mode, the interface is a bit cumbersome and counter-intuitive: this program works great, but getting from A to B can be a challenge. Features are numerous, export options plentiful, and Adobe Premiere Elements 13 offers users direct uploading to a variety of social channels, as well as the ability to burn movies to optical discs. Pros: Offers near-professional level capabilities for advanced users. Cons: Steep learning curve may intimidate new users. Somewhat inefficient operation. Relatively high price. Our best advice: consider your needs carefully, including your willingness to invest time in learning a new program. A little planning will help you make the best choice for a video editing software tool.